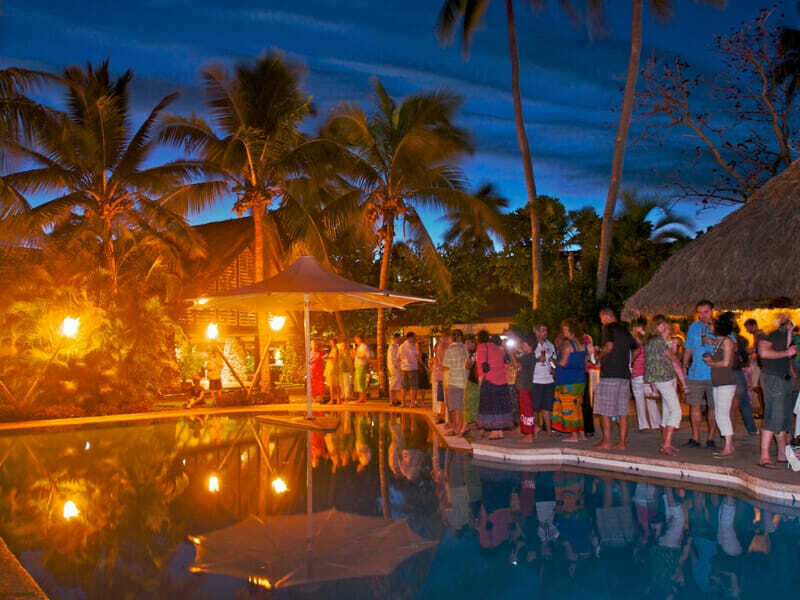 Situated on its own 174 acre secluded island surrounded by tropical rainforest, white sand beaches and turquoise waters of the Pacific Ocean, Castaway Island Fiji offers traditional Fijian accommodation in the heart of the Mamanuca Islands. 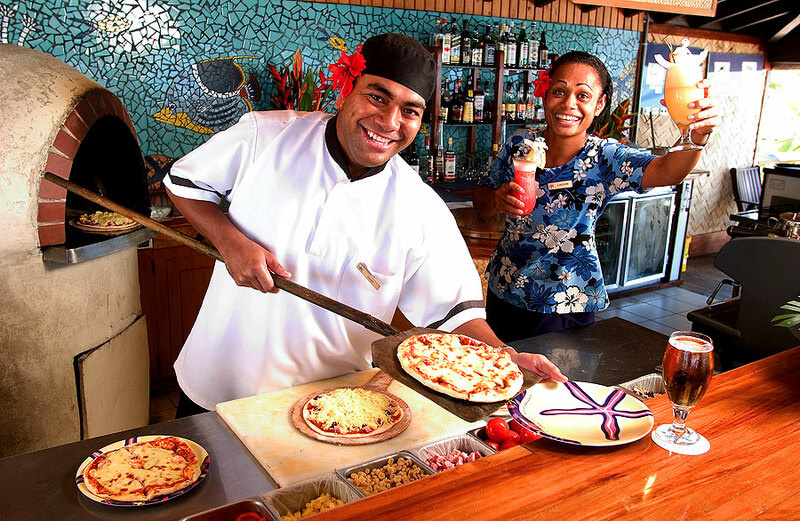 The picture-perfect setting combined with the big Bula smiles from the Fijian staff and the host of activities and facilities make a stay here one to remember. 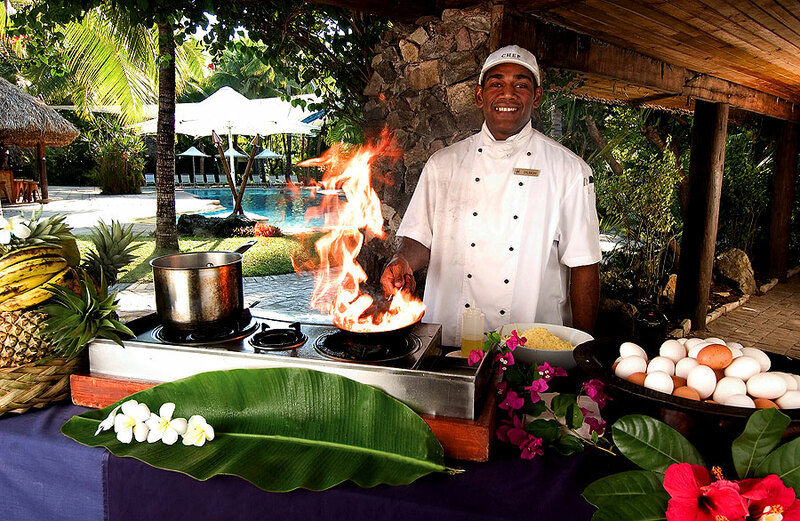 You may be on a private island at Castaway Island Fiji, but that doesn’t mean you won’t be spoilt for choice for facilities and things to do. 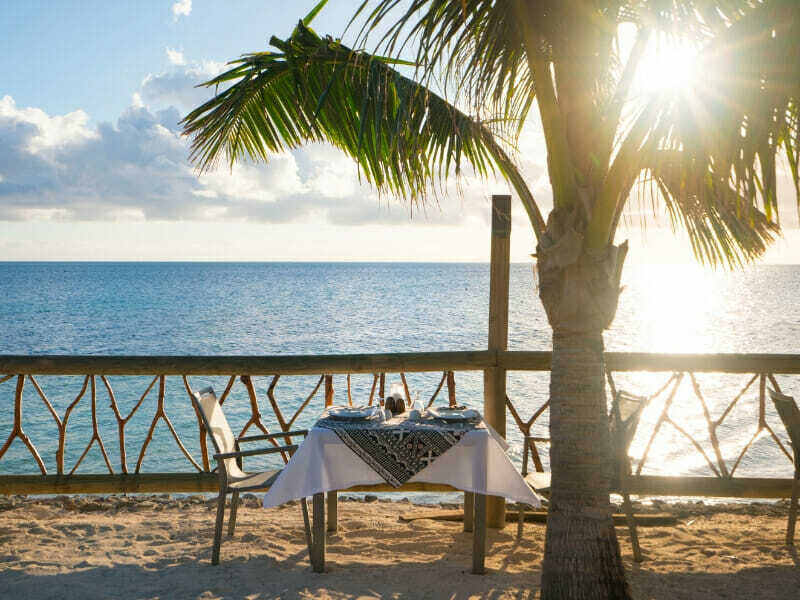 With four uniquely styled bar and dining options, kids club, pools and water sports activities available, you can choose to do as little or as much as you like during your stay at Castaway Island. 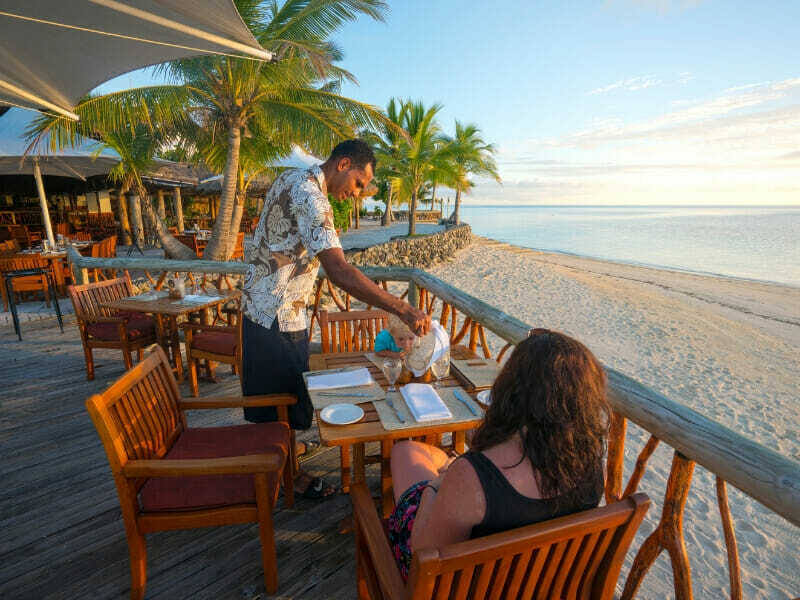 The resort offers plenty of complimentary activities including snorkelling, kayaking, bushwalks to the Castaway summit and cooking demonstrations but for those who want to kick back and enjoy the peace and quiet, simply lay back on the beach under a palm tree or treat yourself to an island style massage. 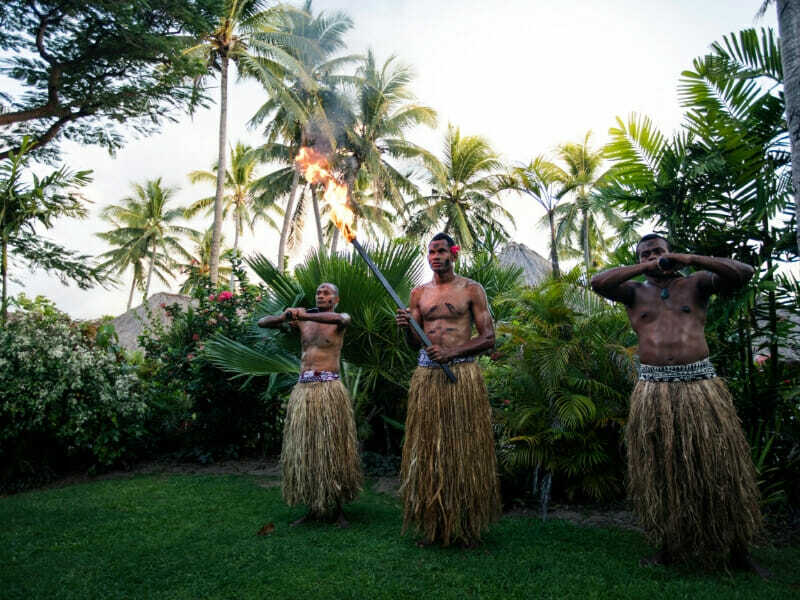 Comprising of 66 free standing Bures, guests can choose from an Island, Ocean View or Beach Bure each with modern furnishings that are complimented by traditional Fijian décor and grass-thatched roofs to bring your island escape to life. 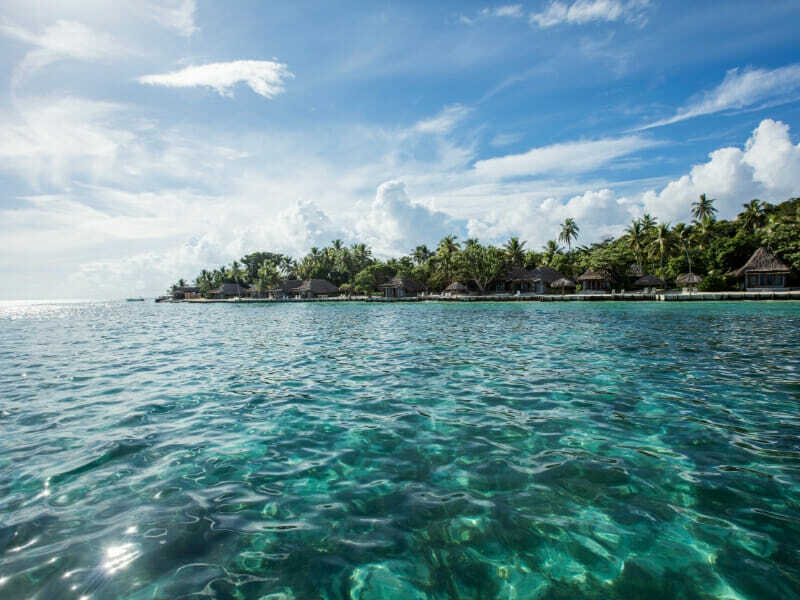 Each Bure consists of all the necessities to ensure your stay is as comfortable as possible including air conditioning, bathrobes, tea and coffee making facilities, bar fridge and spacious veranda perfect for kicking back and enjoying the sights and sounds of the island. 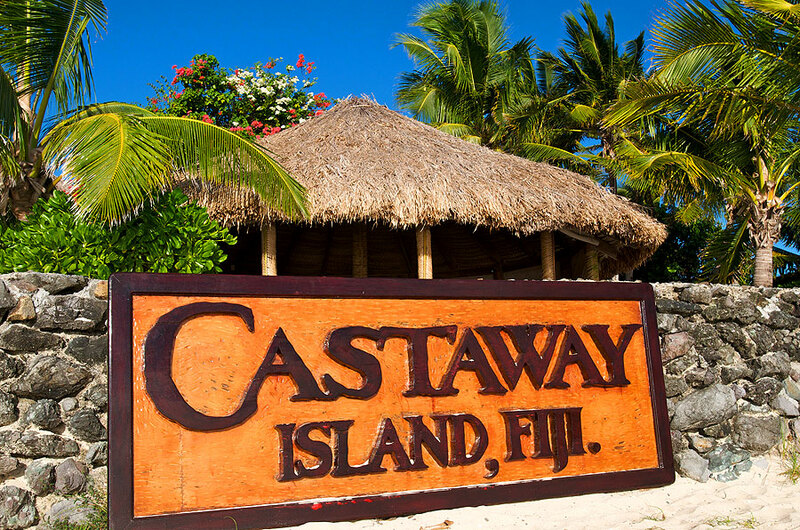 If you are looking for a peaceful getaway from your everyday fast paced lifestyle, the solitude, tranquillity and stunning surrounds of Castaway is the answer! 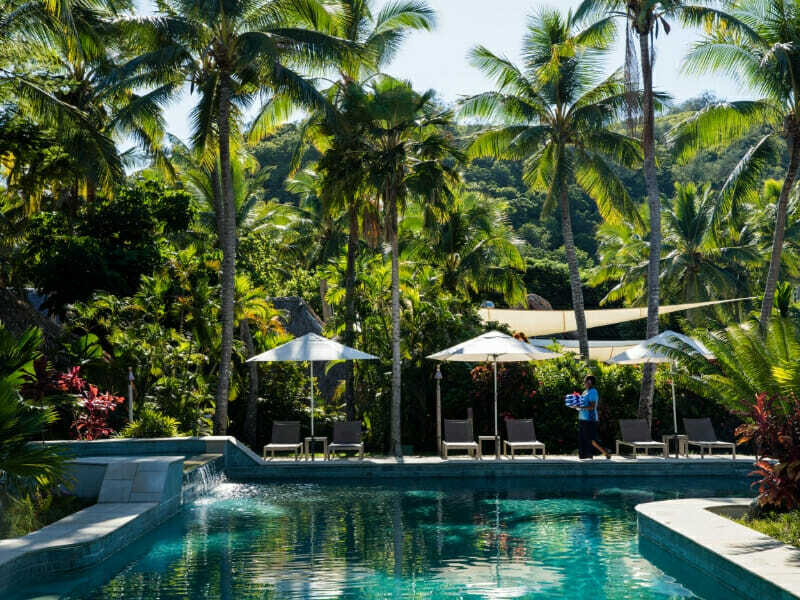 For over 40 years this privately owned four-star resort has striven to maintain its pristine natural setting. Added to this picture-perfect private island are all the facilities and activities to make your stay relaxing and memorable. 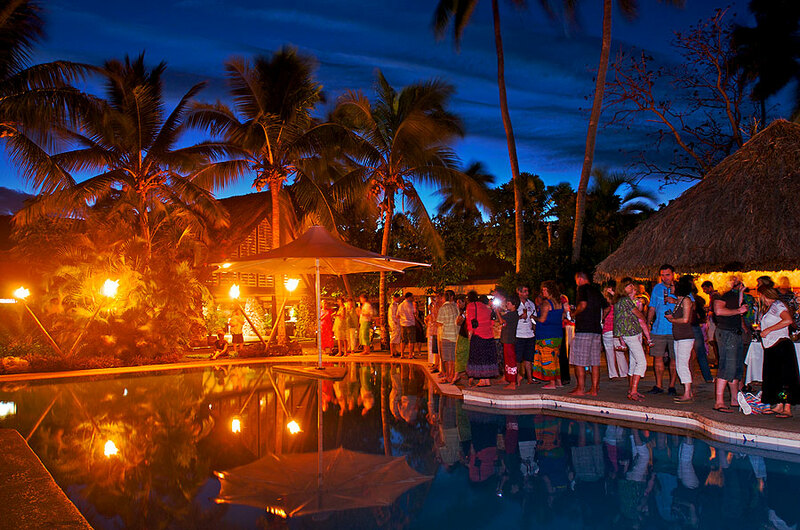 If you’re looking for traditional island style Fiji accommodation during your holiday, Castaway Fiji Resort is for you. 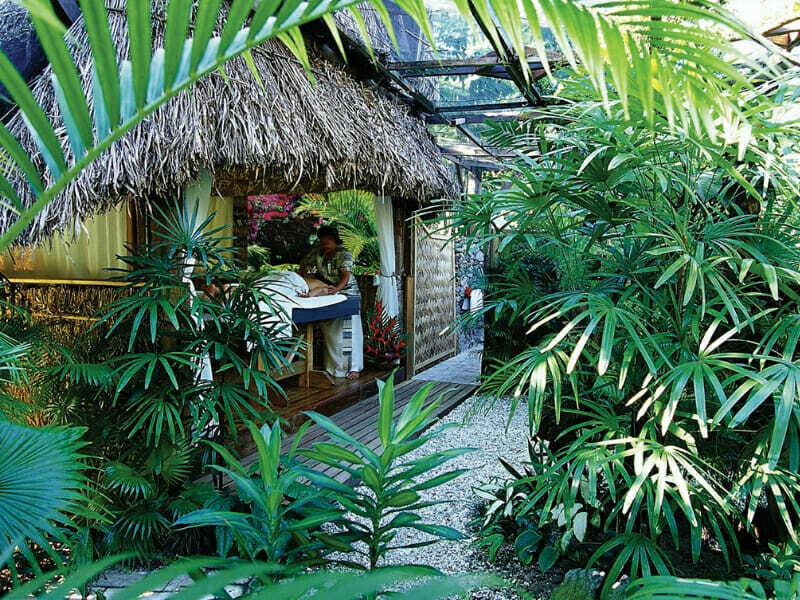 Nestled amongst the tropical vegetation the Island Bures are free-standing traditional Fijian structures with high vaulted ceilings decorated with stylish natural timbers and contemporary furnishings. Stay cool in the air conditioning, kick back on the private balcony, relax on the day beds wrapped in a bathrobe and enjoy the range of modern amenities such as hairdryer, ceiling fans, fridge and tea/coffee facilities. Relax on the private balcony and take in the views of the turquoise waters from the Ocean View Bure. 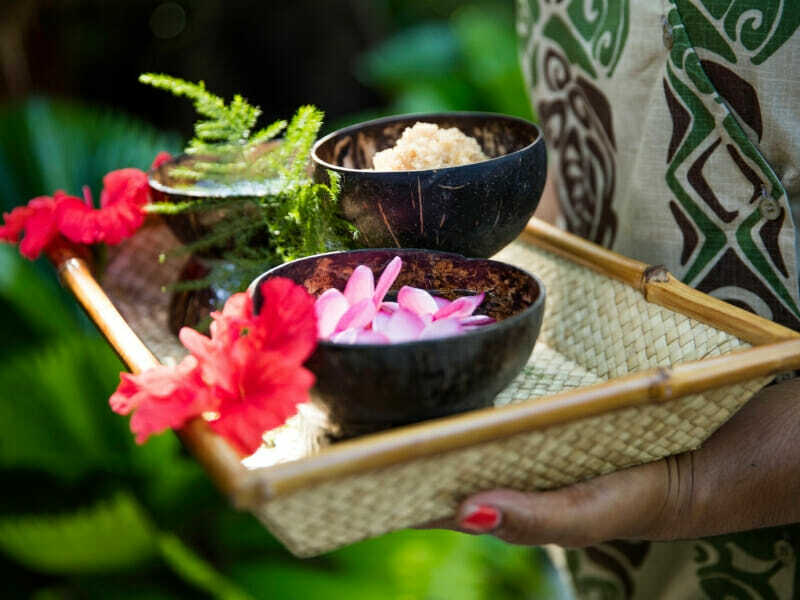 Backing onto the tropical gardens, these bures are free-standing traditional Fijian structures that feature high vaulted hand painted ‘tapa’ lined ceilings, reflecting the islands culture and traditions. There’s a king-sized bed for you lay your head at the end of the day as well as day beds to relax on during the day. The bures are comfortably air-conditioned and feature a range of amenities including bathroom with separate shower and toilet, ceiling fans, bathrobes, tea/coffee facilities and much more! Situated on the beachfront, you can experience uninterrupted views of the ocean from the Beach Bures. 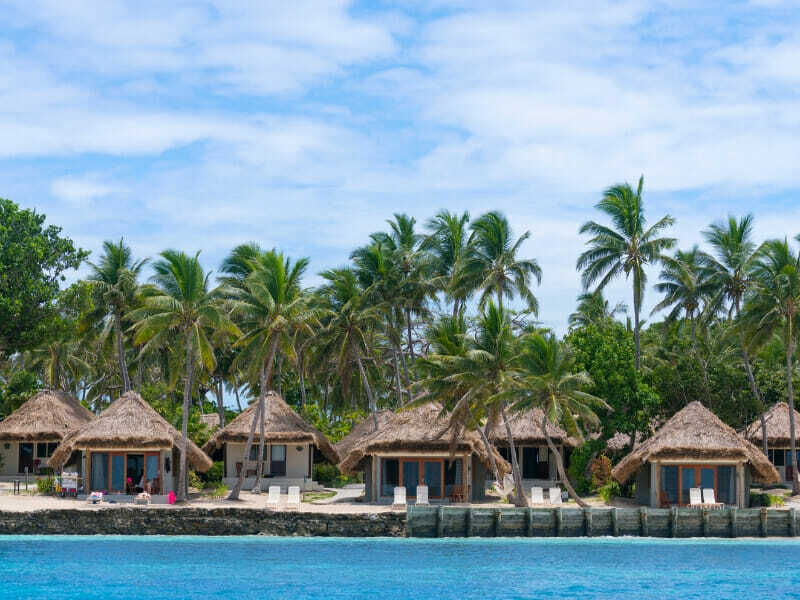 These free-standing structures reflect the ambience of Fiji with high vaulted hand painted ‘tapa’ lined ceilings, natural timbers and Fijian accents. Just a few steps to the beach, these bures are air conditioned and feature ceiling fans for your comfort too. Enjoy the separate shower, daily room service, tea/coffee making facilities, king sized bed, day beds and much more! 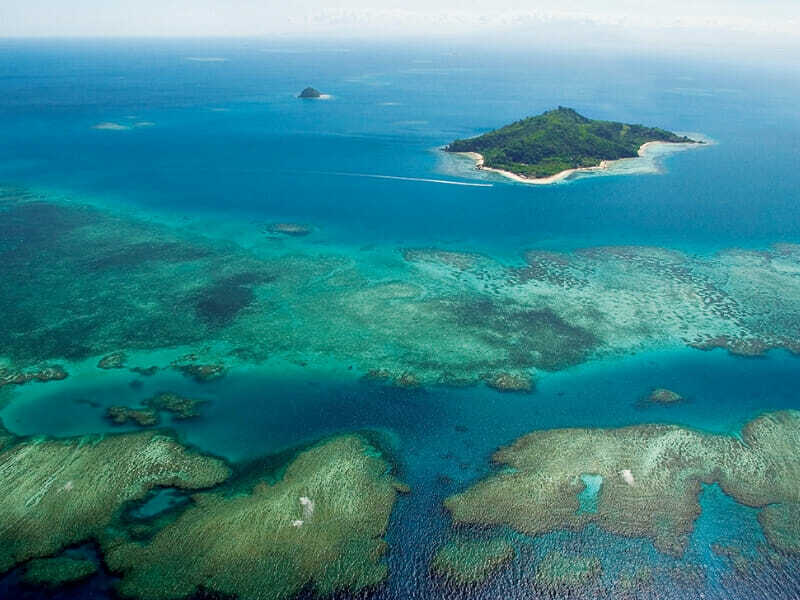 Castaway Island Fiji is located off the Malalo Barrier Reef, about 30 minutes by boat from Denarau Marina. 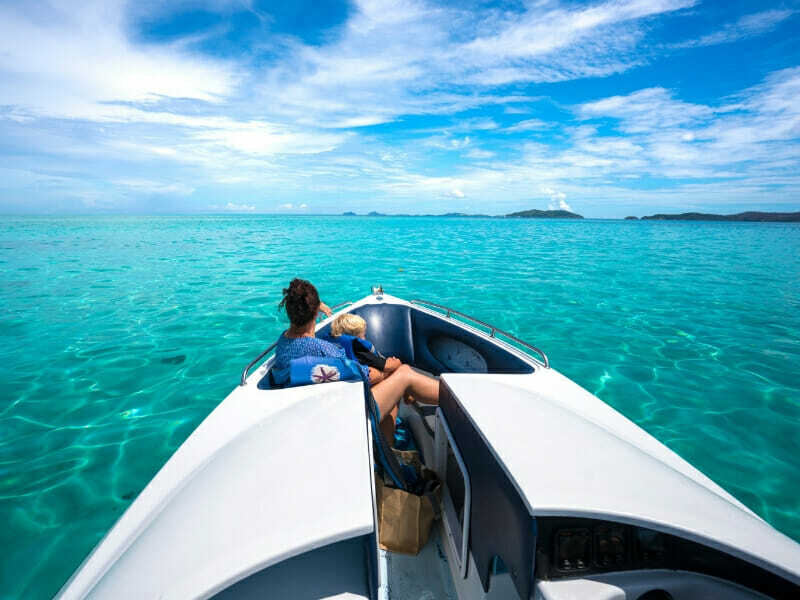 Lush tropical rainforest covers the 174-acre island and is fringed by white sandy beaches and turquoise water so that while you may only be minutes from the mainland, you will feel a million miles away. 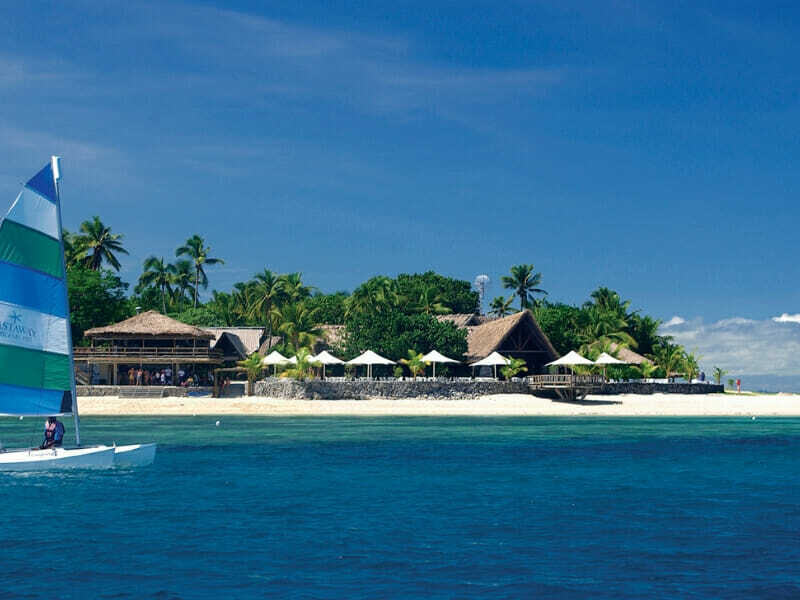 Each day Castaway Island Fiji offers a host of sand, land and sea adventures and activities at or around the resort. For the active travellers: Explore the underwater wonderland that surrounds the island with the complimentary snorkelling gear. 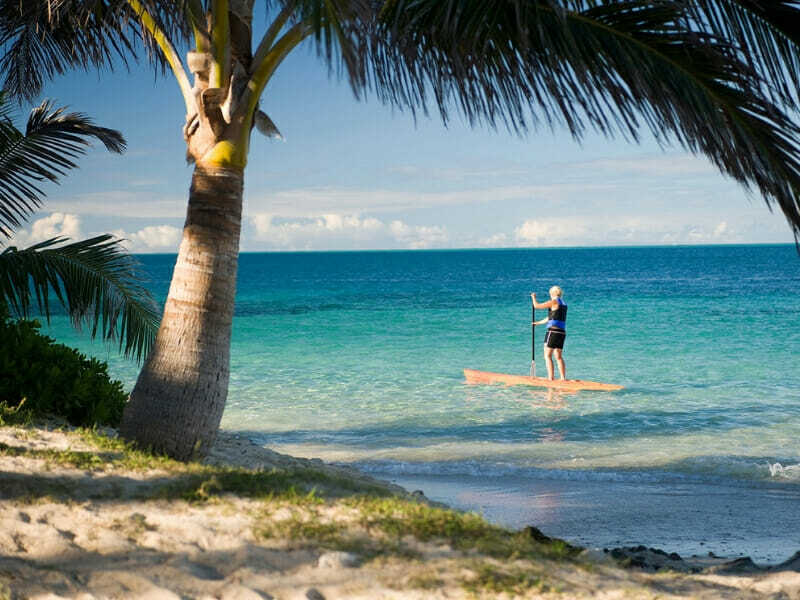 Paddle through the calm waters on a stand-up paddle board or explore the waters in a kayak. Challenge your family to game of beach volleyball or practice your tennis serve at the courts. 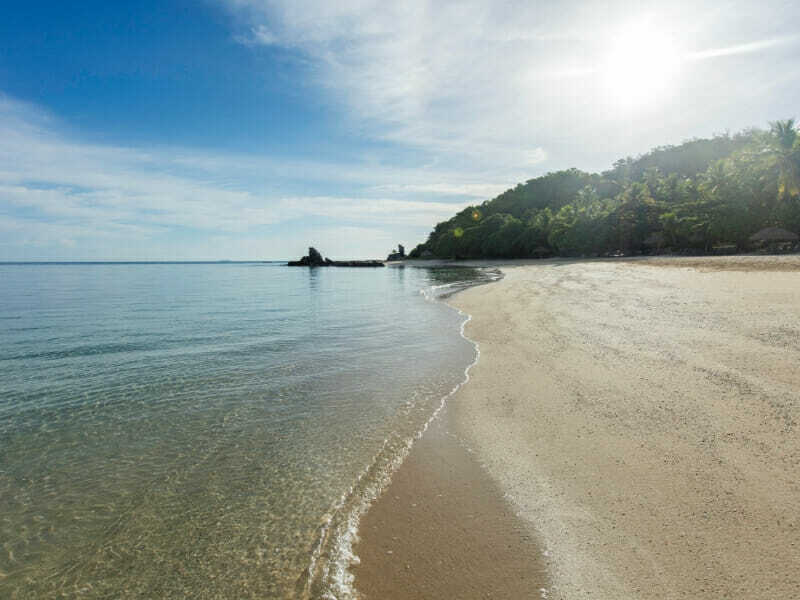 Join the resorts bushwalk to Castaway Summit, ride the waves on a surfboard, go parasailing, try your luck fishing or head out on a snorkelling safari! For those who prefer to kick back: Pay a visit to the experienced masseuse for a relaxing massage. Get your hair braided. Treat yourself to a pedicure or manicure or simply just kick back in the pool! 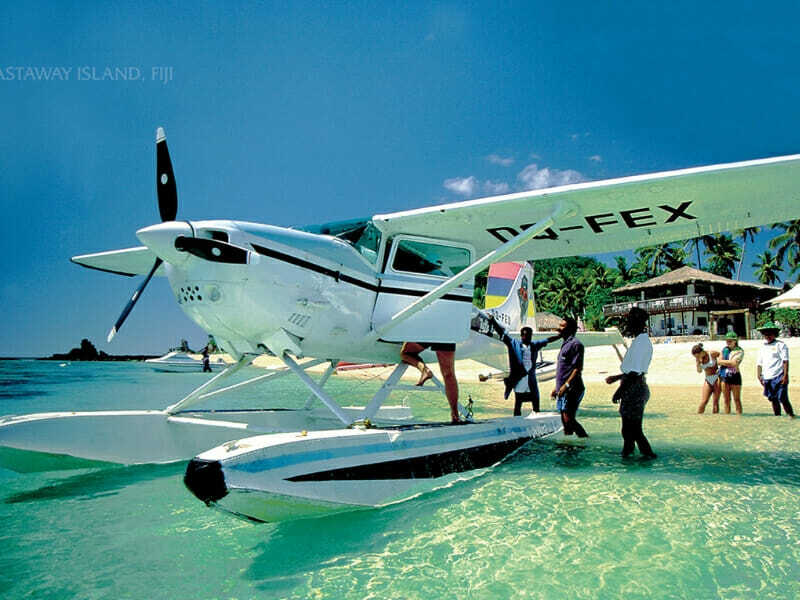 The island offers a range of day trips and excursions so you can experience the most out of the Mamanuca Islands. 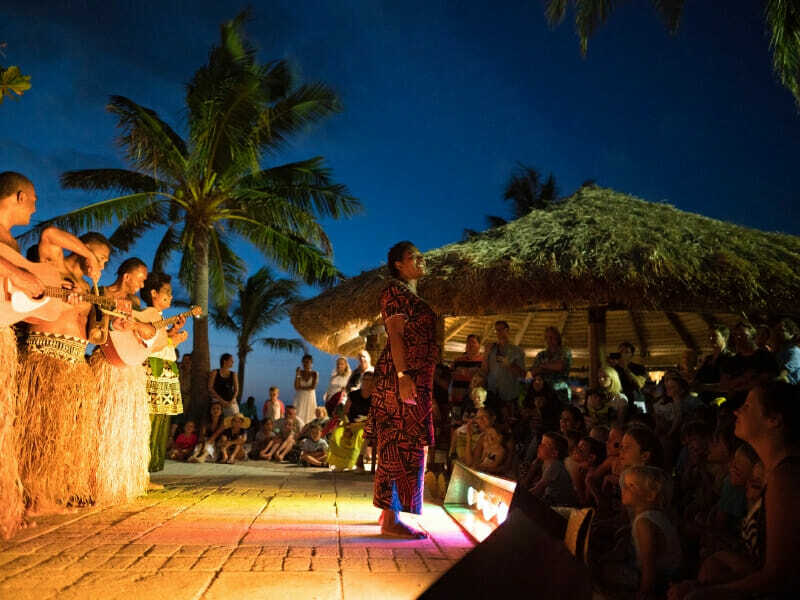 Ask the friendly team at reception to help organise a tour to Modriki Island where the award-winning movie “Castaway” was filmed or visit local villages like Yaro. We had a wonderfully relaxing time here, simply swimming, eating and sleeping in paradise. 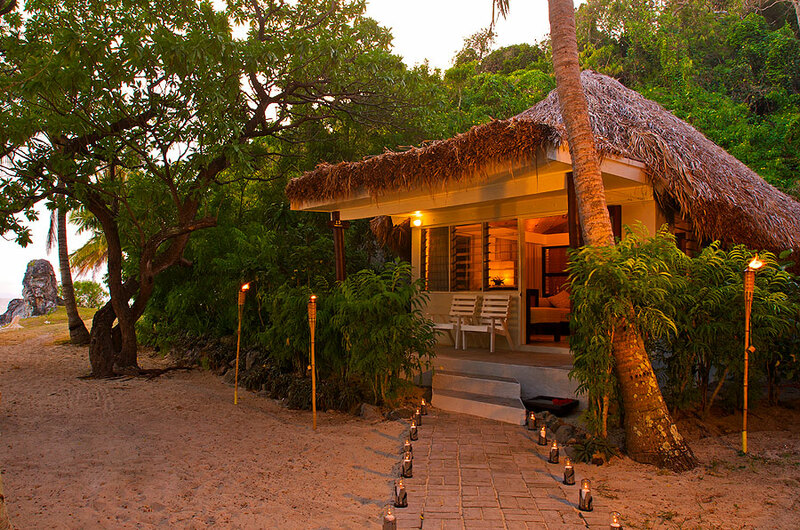 Our Beach Bure was very roomy and recently renovated, perfect to come back to relax after spending hours at the beach or the pool. The family pool was a great place for children as it was totally shaded. The food was excellent and a variety of options are available, from al a carte to buffet. There are plenty of activities available (some included in the price of the Daily rate). Lastly, the staff were wonderful, always smiling and ready to have a chat.